Christmas is a happy time – or it should be. So why do two small mice look so unhappy? 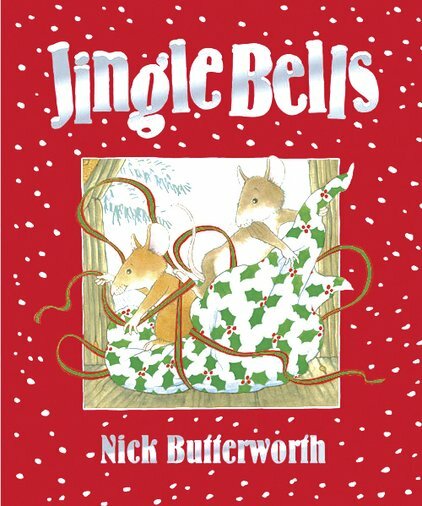 Nick Butterworth’s warm-hearted story of a family of mice is a real Christmas delight. Find out how nasty Angus, the farm cat, robs the little mice of their yummy Christmas dinner. Can a golden bell save their special day? Now in a lovely mini book perfect for your little hands. One to share just after your Christmas dinner.